Finally, laypeople will benefit from the Defense Advanced Research Projects Agency’s (DARPA) mad scientist projects (see: thinking cameras and flying Humvees). 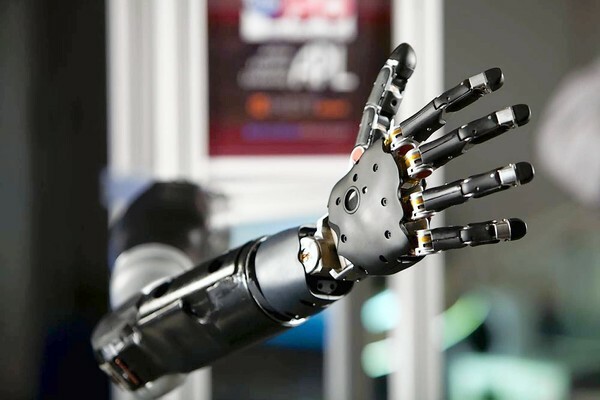 As part of its just-announced Innovation Pathway, a priority review program for breakthrough medical devices, the FDA will fast-track the review of DARPA’s mind-controlled robotic arm. DARPA’s prosthetic works much like a regular arm, with the ability to bend, rotate, and twist in 27 different ways. It is designed to restore almost complete hand and finger function to patients dealing with spinal cord injury, stroke, or amputation. Now that the arm has been expedited through the FDA’s program, Johns Hopkins will implant its microchips in five patients and monitor them for a year. There are few safety concerns, but the university anticipates issues with maintaining chip quality over time, according to the Los Angeles Times. If all goes well, the arm could be on the market in just four to five years. Check out the arm in the video below.